Air purifiers improve the quality of the air you breathe, as implied by their name. Although their common goal is to eliminate harmful substances from the air, there are many viable methods to accomplish this, including mechanical filtering, ionization, and chemical methods. Mechanical filtering is the simplest method, since its consists on trapping airborne particles without altering them. High-efficiency particulate arresting (HEPA) filters are often preferred, capturing 99.97% of particles with a size of 0.3 microns. Ionization consists on adding electrical charge to an otherwise neutral particle. Once charged, particles have a tendency to adhere to surfaces, making them easier to collect with vacuum cleaners or other cleaning devices. Chemical methods induce reactions where harmful substances are the reagents. They are converted into harmless compounds, or into substances that precipitate out of the air and are easier to collect and dispose. The most effective air purification method is determined in great part by the type of pollutant you want to capture. For example, mechanical methods can capture particulate matter because it is composed of suspended solid particles, but they are not effective for volatile organic compounds (VOCs) in gaseous form – a VOC molecule is too small to be captured by a mechanical filter. Fine particulate matter has a diameter below 2.5 microns, which is very small from the human standpoint, but still much larger than the diameter of VOC molecules. The following image can give an idea of size measurements in microns. VOC molecules are far smaller than this, with diameters in the scale of picometers. One micron is a million times smaller than a meter, and a picometer is in turn a million times smaller than a micron. As previously stated, HEPA stands for High Efficiency Particulate Arrestance (or High Efficiency Particulate Air) and these filters are designed to remove all airborne pollutants 0.3 microns or larger from the air that passes through the filter. These include tobacco smoke, household dust and pollen. Fan noise, although this can be compensated through effective ventilation design. A slight increase in energy consumption due to the air pressure drop as it flow through the HEPA filter. Maintenance – The filter has to be changed on a regular basis and always before it gets dirty. Otherwise, the filter actually participates in spreading PM inside. Just be aware that “HEPA” has become a generic concept to describe high-efficiency filters, but not all of them meet the requirement to be true HEPA – to capture 99.97% of particles with a size of 0.3 microns or above. There is an even better type of filter, called Ultra Low Penetration Air (ULPA), which captures 99.999% of particles with a size of 0.1 microns or above; of course, it comes with a higher price tag. 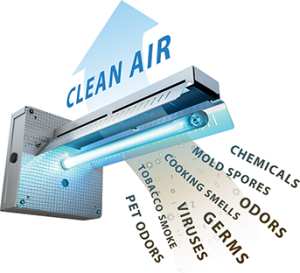 Ionizing air purification works by adding electrical charge to airborne pollutant particles. These charged particles are then returned to the room, where they are attracted to objects such as clothing, walls, floors and furniture. In effect, particles are removed from the air and deposited on your furnishings and clothing. You need to dust and vacuum to actually remove allergens from the room and prevent them from being reintroduced into the air. However, particles that have been deposited on surfaces cannot be inhaled and are easier to clean. Ionization is effective for collecting particles as small as 0.1 microns, but the downside of this technology is that it also produces small amounts of ozone (O3), which is itself another pollutant. When choosing an ionic air purifier, make sure ozone levels remain below the safety threshold established by the World Health Organization. To eliminate the inconvenience of having to dust and vacuum, some air purifiers combine ionization and mechanical filtering. An alternative to electronic ionization is an electrostatic precipitator (ESP), which works by placing a charge on particles and then collecting them with oppositely-charged metal plates. 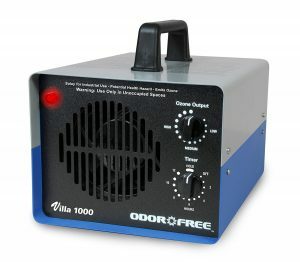 It’s important to note that, with the exception of ozone generators, none of the mechanical or electronic air purification technologies are particularly effective against gaseous pollutants like VOCs (Volatile Organic Compounds) or strong odors – the particle size is simply too small for them (picometers). To address this issue, many air purifiers introduce some type of chemical filtration -typically activated carbon- to capture gaseous irritants. 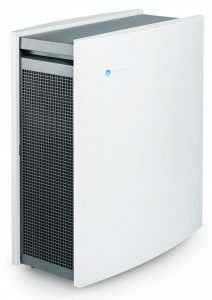 The most effective among these purifiers come with a price premium compared with the majority of air cleaners, but they may or may not be the best choice depending on your chemical sensitivities. 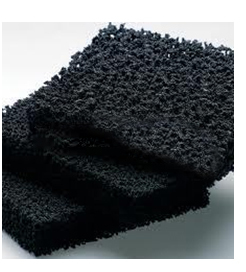 Activated carbon, also known as activated charcoal, is carbon processed to have micropores and an extremely high surface area relative to its mass. 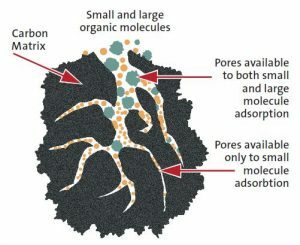 In the case of activated carbon, microporosity is such that one gram of the substance has a total surface area of 3,000 m2, which can interact with particles at the molecular scale and capture them through adsorption. HEPA filters can be combined with carbon filters to capture VOCs and eliminate odors, gases and VOCs in the air. The only limitation is that the carbon filter increases the pressure drop across the air purifier and hence the required fan power. Ultraviolet (UV) radiation is part of the electromagnetic spectrum, and while it is not capable of destroying VOCs directly, it can be used to drive a chemical reaction that does – if you want to get further into details, the process is called photocatalytic oxidation. The air purifier uses titanium dioxide as a catalyst – a substance that helps drive a chemical reaction. When exposed to UV radiation, the titanium dioxide interacts with the water vapor in the air, breaking down H2O molecules into hydroxyl (OH). Hydroxyl is highly reactive, and it breaks down organic molecules into water and carbon dioxide. VOCs are by definition organic, so they can be broken down through this process. An added advantage of UV radiation is that it can kill organisms that are also considered air pollutants: mold, viruses and bacteria. It is important to note that these organisms produce a subtype of VOCs called microbial volatile organic compounds (mVOC), and these are also eliminated. Consider that both VOCs and mold are sources of foul odors, and UV air purifiers contribute to odor removal by destroying their sources. Ultraviolet Wavelength C (UVC), which has a wavelength of 253.7 nanometers, is the most commonly used type of UV radiation in germicidal applications. It is used to disinfect air, water and object surfaces, killing mold, bacteria and viruses. Ozone can be either good or bad for humans depend on where it is found and how it is used. In the upper atmosphere it acts as a blanket covering us from deadly space radiation, especially the most harmful portion of sunlight. However, ozone is one of the most powerful oxidants found in nature, which means it can be useful but also dangerous. Ground-level ozone is typically referred to as a pollutant, whose spikes happen for instance during hot summer days. As the US Environmental Protection Agency (EPA) says, “Good up high – bad nearby”. What does ozone exactly? It reacts with VOC molecules in the air, causing them to oxidize just like in UV purifiers. The difference is that no catalyst is needed: ozone can break down VOCs by itself. Ozone is also capable of killing microorganisms and odors, which are susceptible to the highly reactive nature of the substance. The problem with ozone is that, being such a reactive substance, it has several negative effects on humans. Symptoms such as shortness of breath and chest pain are experienced shortly upon exposure to high concentrations of ozone, and it can also trigger asthma attacks in persons suffering from the condition. The tricky thing is when somenaufacturers use words like “ozone purifier” or “ozone air cleaner”. Believe it or not, a product named “ozone purifier” is not appropriate for home use. High concentrations of ozone can be used to help decontaminate an unoccupied space from certain chemical or biological contaminants or odors. However, this can only be done safely when there are no occupants in the affected space. It’s easy to get confused. When talking about ionizers, ozone is an undesirable by-product of the ionization process, although when talking about ozone generators, ozone is the active molecule generated which breaks downs pollutants. Calling these products “purifiers” is highly confusing because ozone generators are used in commercial or industrial settings and should not be compared to home air purifiers. Whatever purifier you choose in the end, it should never release ozone in your home. You read correctly: some plants are excellent VOC filters. Both plants and the harmless bacteria that live in the soil around their roots are capable of metabolizing VOCs. 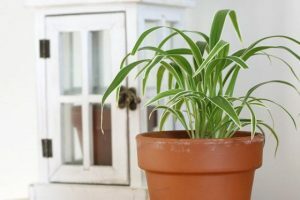 Plants also bring the benefit of enriching the air with oxygen, as a product of photosynthesis. NASA has performed extensive research on the air-purifying properties of plants. For example, Peace Lily is capable of absorbing trichloroethylene, formaldehyde, benzene, xylene and ammonia, all of which are harmful VOCs. The New Trend of Portable Air Purifiers: How Efficient? Like most engineering decisions, portable air purifiers come with advantages and disadvantages. 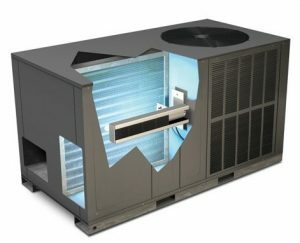 Their main advantage is versatility: they can be moved to where they are needed, and are independent from the HVAC installation in the building. In other words, they can operate when needed and at the exact spot where they are required, even if the HVAC system is turned off. Their coverage is limited to the room where they are being used. Since a portable air purifier only serves the area where it is located, pollutants have a chance to spread and settle on surfaces elsewhere. Allergens like dust mites, pollen and pet dander are airborne for shorter periods of time than smaller pollutant particles, and the window of opportunity for an air purifier to capture them is reduced. These allergens can spread freely in rooms where the air is not being purified, creating the risk of being disturbed again when someone sensitive to them is in the room. 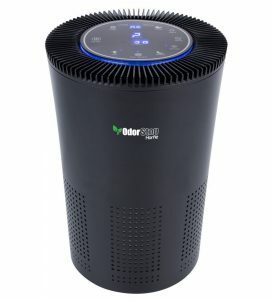 In addition, the air treatment capability of a portable air purifier rarely match the volume of the space it is used in. It means that you would need to breathe the air directly from the purifier’s output to benefit from its effect. Air purifiers can help improve indoor air quality when used effectively. 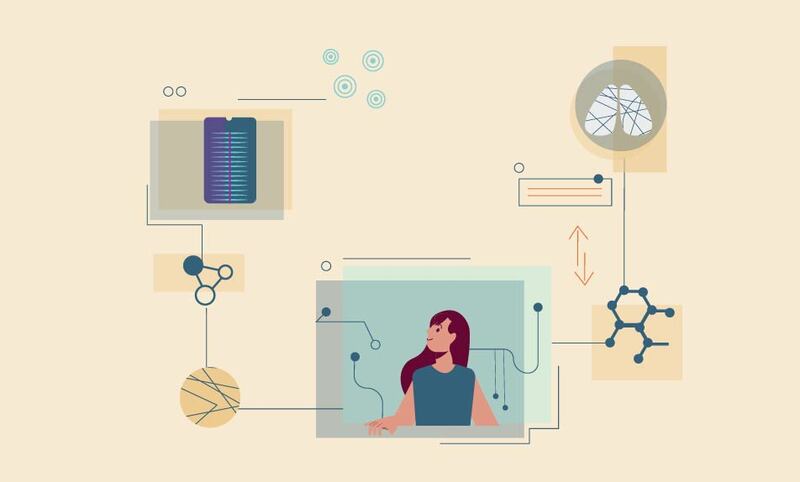 It is important to understand that particulate matter and VOCs require different methods – one pollutant is composed of solid particles while the other is molecular, with a drastic size difference. While particulate matter can be eliminated effectively with mechanical filtration and ionization methods, VOCs require a chemical method due to the small size of molecules and their gaseous nature. Although they help a lot, note that air purifiers are not the solution for all air quality issues. For example, they are not effective against gases like carbon monoxide and radon.